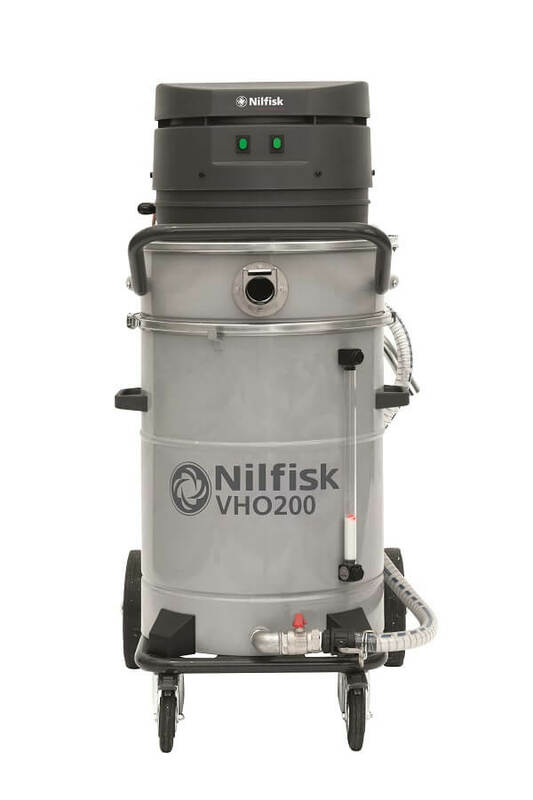 Designed for the metalworking industry, the VHO 200 collects metal chips, oily cuttings, lubricants and coolant spills. Constructed of 304 stainless steel, this model features upgrades including a removable collection bin, a new float system for automatic shut-off, and improved airflow performance. It is equipped with a diverting valve that reverses the flow of air to pump out the tank quickly and easily for total liquid discharge. In just minutes, mixed liquids and solids can be collected, separated, discharged and recycled. 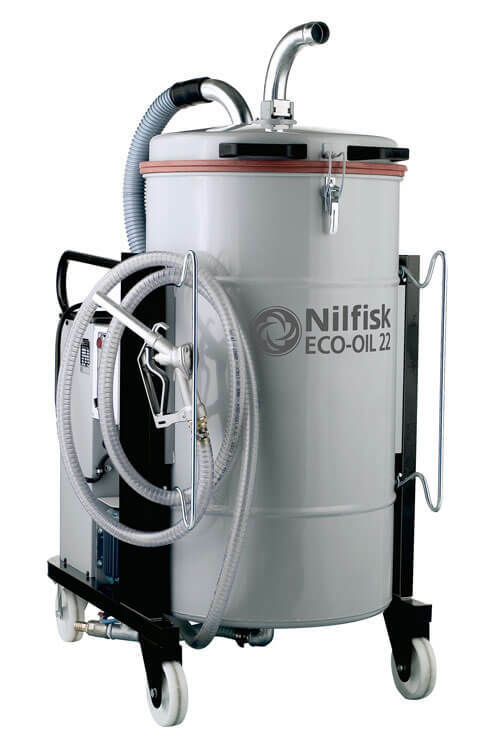 Accessories are resistant to oils and water-based fluids, and the chip basket is constructed of stainless steel. Dimensions (L x W x H) 22.8 x 34.7 x 48.4 in.